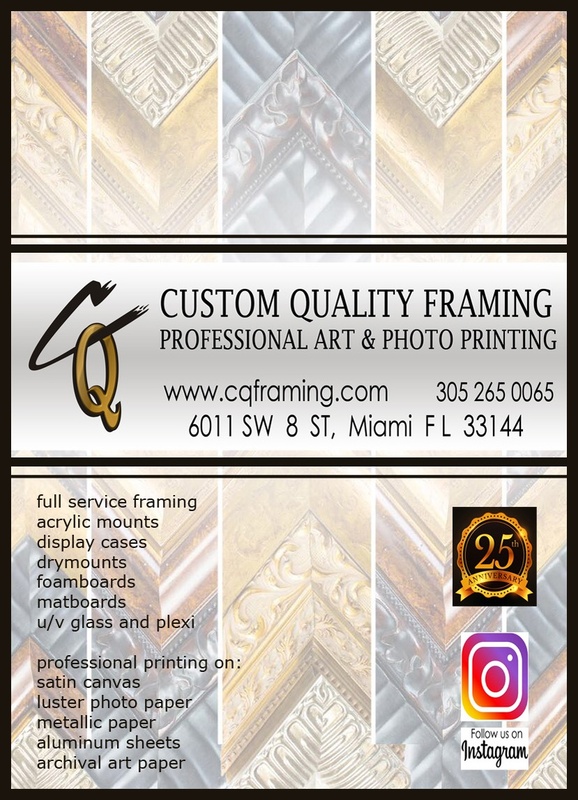 At CUSTOM QUALITY FRAMING, PROFESSIONAL ART & PHOTO PRINTING we have been providing our customers with friendly service and high quality, reliable products for over 25 years. Our courteous, professional team is able to support a range of services to meet or exceed your expectations. To learn more about CUSTOM QUALITY PICTURE FRAMING, PROFESSIONAL ART & PHOTO PRINTING , please call us at 305 265 0065.